Canada Colorado Association invites you to our October Fundraiser for Syrian Refugees AND Business Networking Event on October 29th from 5-7 p.m.
All proceeds from this event will be donated to Life Line Syria, a non-profit organization working to bring 1,000 refugees to the Greater Toronto Area. In addition to supporting this humanitarian initiative, this event will give you the chance to meet and mingle with professionals from all industry sectors. This group of people may originally be from Canada, work for or with Canadian organizations, or may just want to promote their business and make new connections. 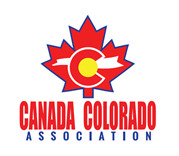 Our association promotes all things in common with Canada and Colorado. Come out and support a great cause and make new connections! Admission is $20 for CCA members and $25 for friends of CCA. The proceeds go to a great cause. Admission includes your first Happy Hour Beverage, the chance to win door prizes and free good feelings. Additional prizes will be raffled off. Can’t attend the event? Feel free to make a cash donation for Life Line Syria through the CCA website. If your business would like to make a contribution to our fundraiser, you can do so through this link. Recognitions will be posted. CANADIAN HISTORY: Long before the 20th and 21st centuries, Canada welcomed several waves of refugees to Canada. Between 1945 and 1952, 35,000 to 40,000 displaced Ukrainians came to Canada. In 1956, over 100,000 Hungarian refugees had come to Canada following the Hungarian Revolution. Between 1975 and 1980, over 50,000 Vietnamese “boat people” were settled in Canada. Since then, Canada has welcomed many more refugees from many different countries in conflict. Despite all those “scary foreigners,” Canada is still a pretty safe and secure country. By all accounts, these refugees have contributed to the multicultural mosaic we recognize as the proudly humanitarian and compassionate Canada of today. "This is an excellent initiative that deserves widespread support … It’s vital that people across the GTA step up to the challenge."